SAN DIEGO, Calif. – Elevator Agency and Organik SEO, two leading San Diego digital marketing companies, today announced their merger and combined business’ rebrand to Digitopia. The rebrand reflects the company’s expanded offering in the marketplace and includes a new name, logo and positioning. Elevator Agency and Organik SEO quietly joined operations through a merger of equals in late 2018. The strategic move was in direct response to the evolution of the digital marketing landscape and the increasing complexities clients and brands face as they scale. "Every day, the digital marketing industry becomes more and more saturated. Because of this, agencies have a responsibility to make necessary moves to innovate and bring value to their employees and clients,” said Frank Cowell, CEO of Digitopia. “The merger of Elevator and Organik SEO was executed within this spirit, and I’m excited that our joining of forces means that our offerings to both clients and employees will be world class." Digitopia works with brands to build their digital marketing ecosystems for long-term sustainable growth. Digitopia’s ecosystem approach creates better alignment between marketing, sales and customer service departments, resulting in exponential growth for clients. Given Elevator's history working with notable B2B brands including Qualcomm, Toshiba, T-systems (T-mobile’s parent company), Agena Bioscience and City of San Diego, as well as Organik SEO's history working with natural products and purpose-driven brands such as Emmy's Organics, Suja Juice, Bonafide Provisions, and Sunfood Superfoods, Digitopia will continue serving both B2B companies and B2C brands moving forward. Upon the closing of the merger, partners Frank Cowell, Julien Brandt, Arianne Brandt and Joseph Freeman agreed the new company would be best served unifying under a new company name that reflects its renewed mission and goals. 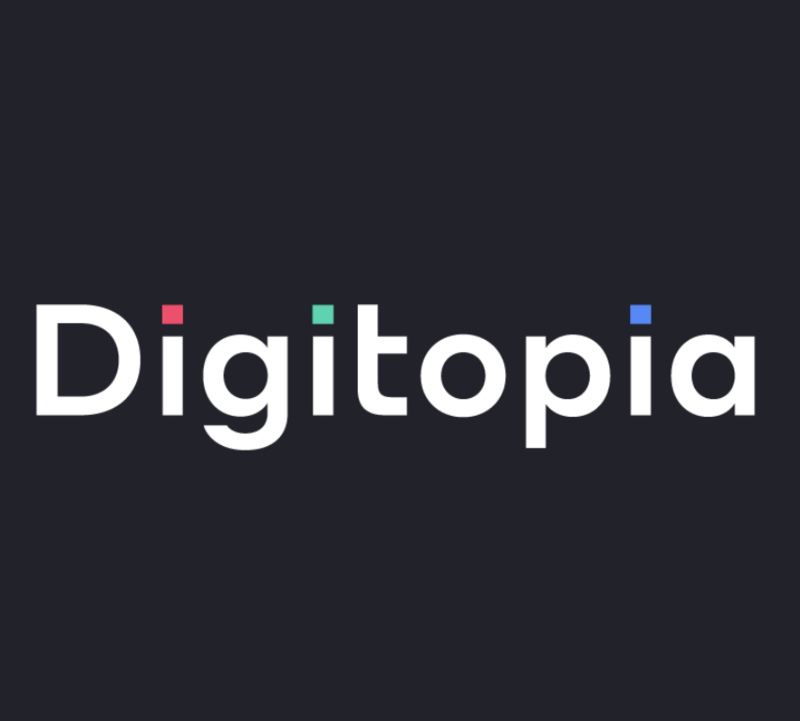 A union between digital marketing and utopia, Digitopia represents a state in which everything is as it should be. Clients’ visions are brought to life. Brands experience accelerated growth. And, customers have better online experiences. The combined company will be led by a senior team that reflects the strengths and capabilities of both companies. Frank Cowell will serve as Chief Executive Officer, Julien Brandt as President, Joseph Freeman as Chief Operating Officer and Arianne Brandt as Chief Marketing Officer. Sheri Lopez will also serve as the Director of Finance and DJ Shirley as the Director of Production. Digitopia is a certified Benefit Corporation, which means it’s part of a global movement of companies using business as a force for good. Along with other B Corps like Patagonia and Seventh Generation, Digitopia strives to create positive impact for its employees, the environment and the community at large. Today there are more than 2,400 Certified B Corporations across more than 150 industries in 50 countries, unified by one common goal: to redefine success in business and use business as a force for good. Elevator Agency, which launched in 2004, was an award-winning agency that had solidified itself as a premier inbound marketing agency working for notable B2B and enterprise-level clients. Leveraging HubSpot as a Platinum Tier Partner, Elevator specialized in lead generation, content marketing, marketing automation and sales enablement. Organik SEO, which launched in 2010, maintained an impressive roster of San Diego brands and clients in the natural consumer packaged goods space. Organik SEO specialized in search engine optimization, search engine marketing, social media and content development. Organik SEO was one of the first certified Benefit Corporations in San Diego, which means it was committed to higher standards of accountability, transparency and corporate social responsibility. "Every day, the digital marketing industry becomes more and more saturated. Because of this, agencies have a responsibility to make necessary moves to innovate and bring value to their employees and clients," said Frank Cowell.